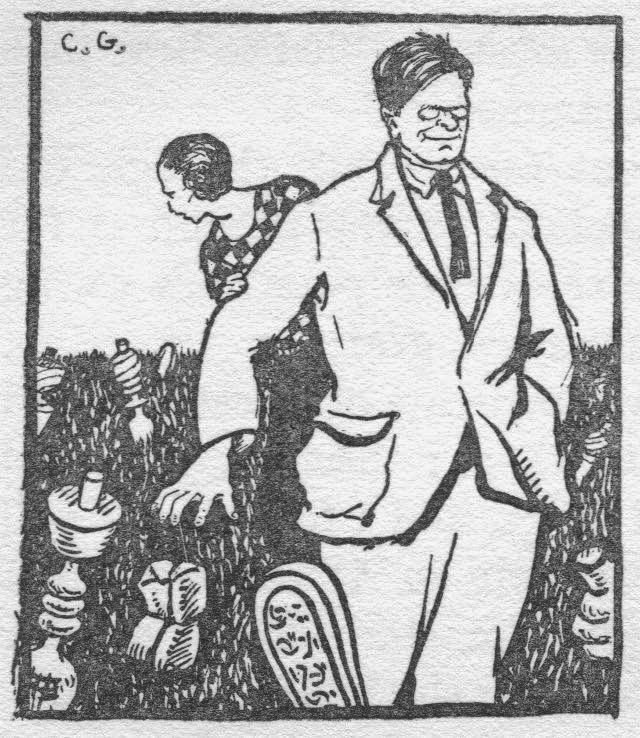 Jan and Cora Gordon visited Albania in the summer of 1925 and in 1927 published the book "Two Vagabonds in Albania." "Now and again a wolf howled from far away, and somewhere a kid, lost or smelling some wolf-taint in the air, bleated with persistent terror" pg. 138. The book begins with "Don't stay in Durazzo." 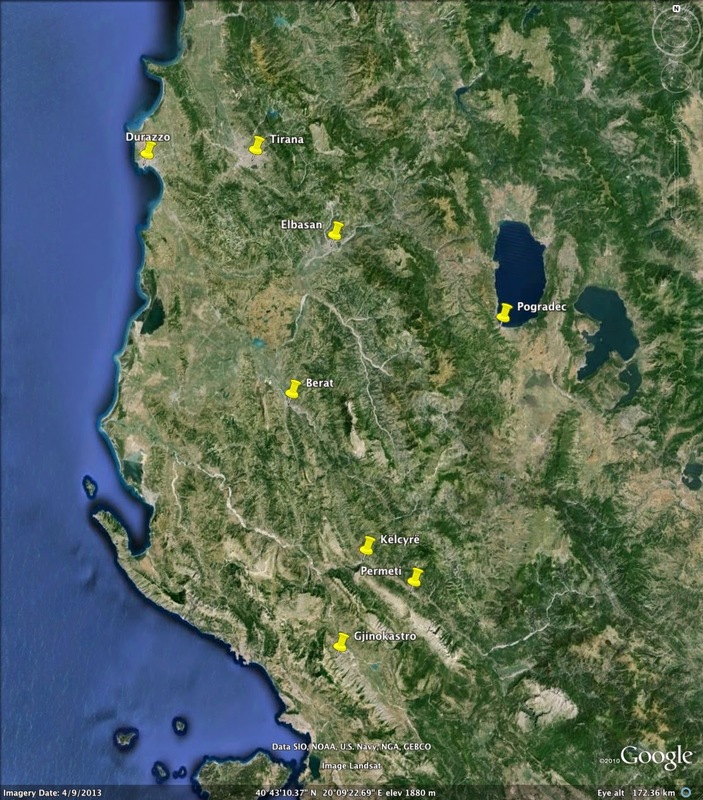 From Durazzo they made a clockwise loop to the south, passing through Tirana, Elbasan, Berat, Kelcyre, Permeti and Gjinokastro before returning north to Tirana. The second leg of the journey was an excursion to the north, from Scutari up into the mountains. 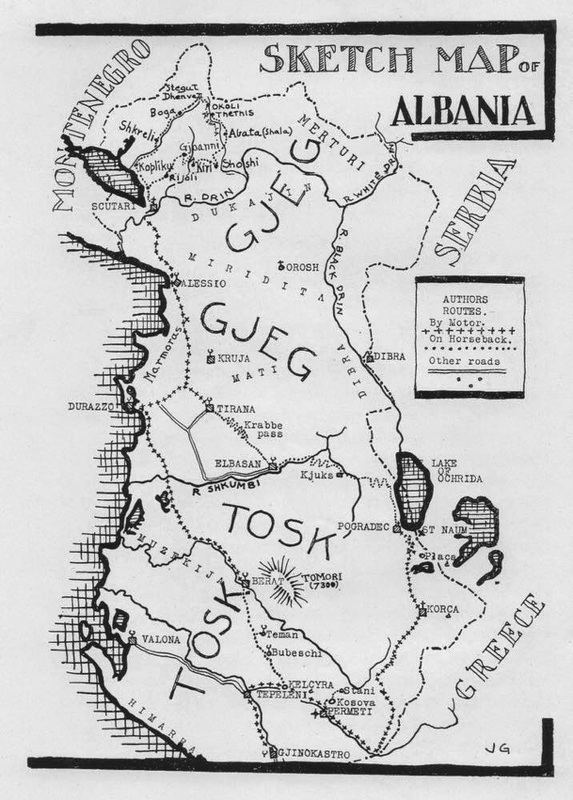 Map of prominent places visited on the southern loop described in "Two Vagabonds in Albania"
Sketch map of the Albanian journey showing routes taken by car and on horseback. This book is particularly well illustrated, including numerous individual portrait sketches made by Cora Gordon, several pages of her rapid figure sketches (see this on her sketching practices), and a number of precise landscape and town drawings. 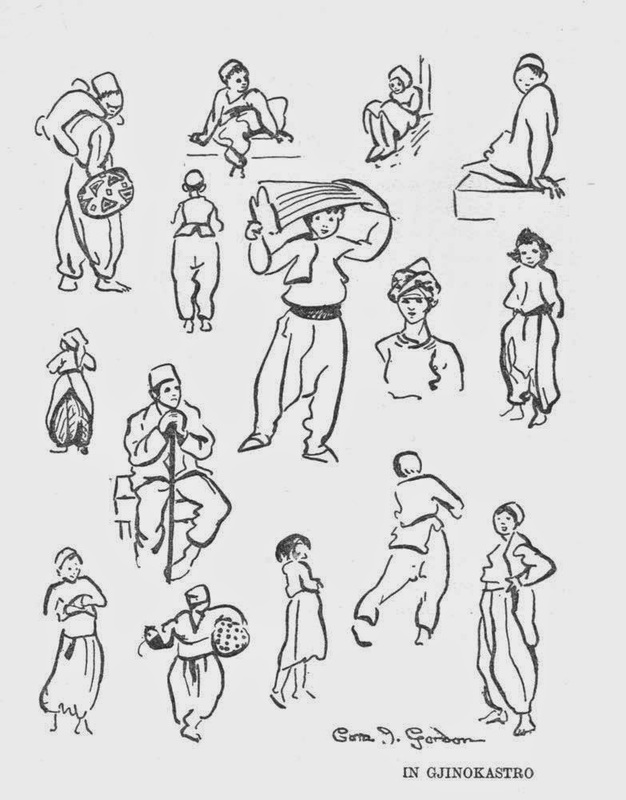 A classic collection of Cora Gordon sketches made in Tirana market. Gypsy girl dancing. "What enthralled us in them were their bloomers, which were most monstrous balloons of cotton stuffs printed over with great patterns of crimson pomegranates or black plums." Jan and Cora evading the tormenting drums in Elbasan. 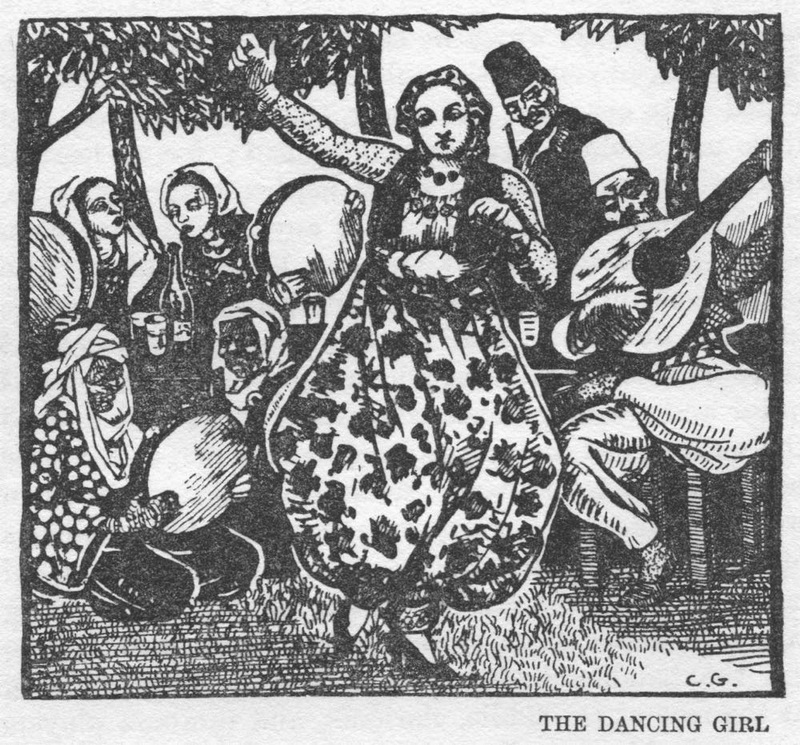 "We had grown fond of Elbasan, but the sweetness and drumming had made the town go bad upon us." 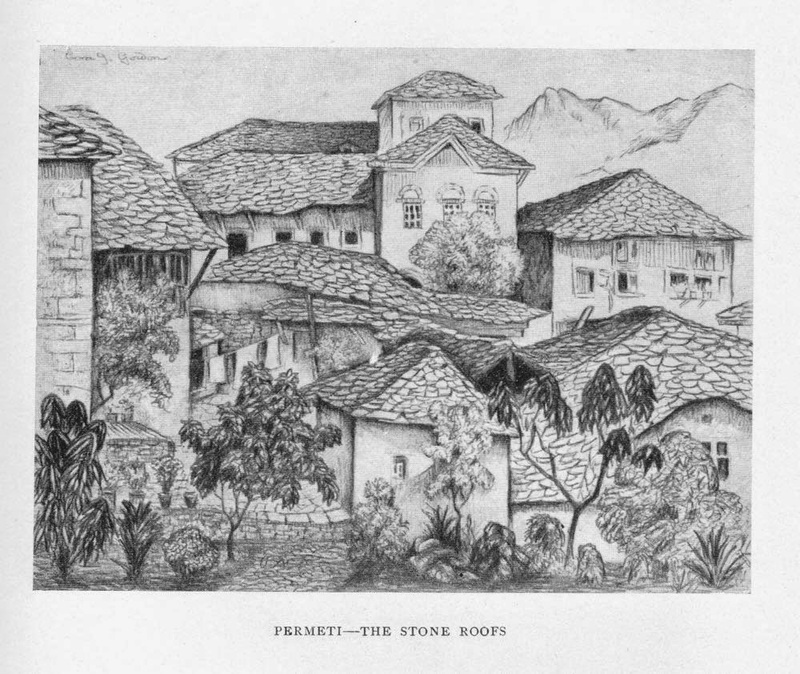 A pleasing drawing by Cora Gordon of the stone roofs of Permeti. 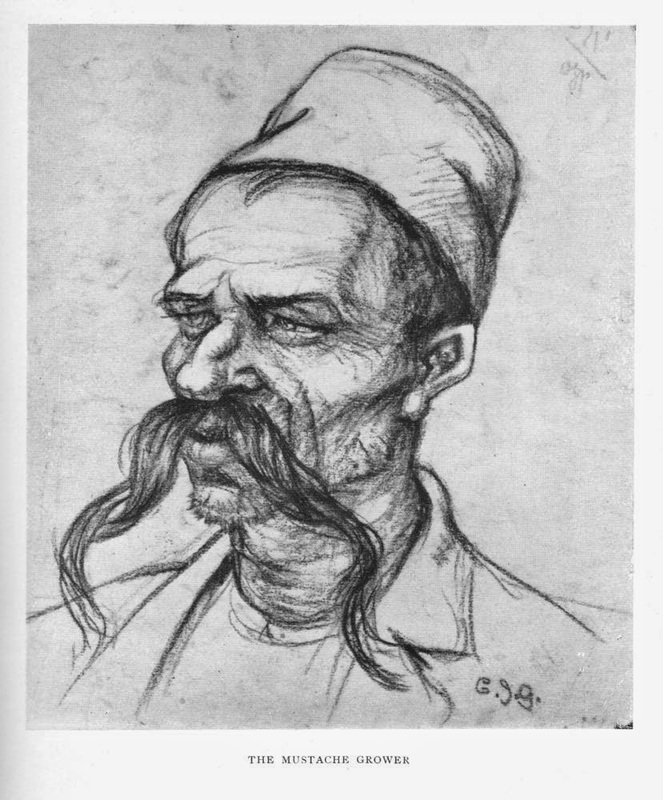 One of a large number of portrait sketches in the book, here "The Mustache Grower." 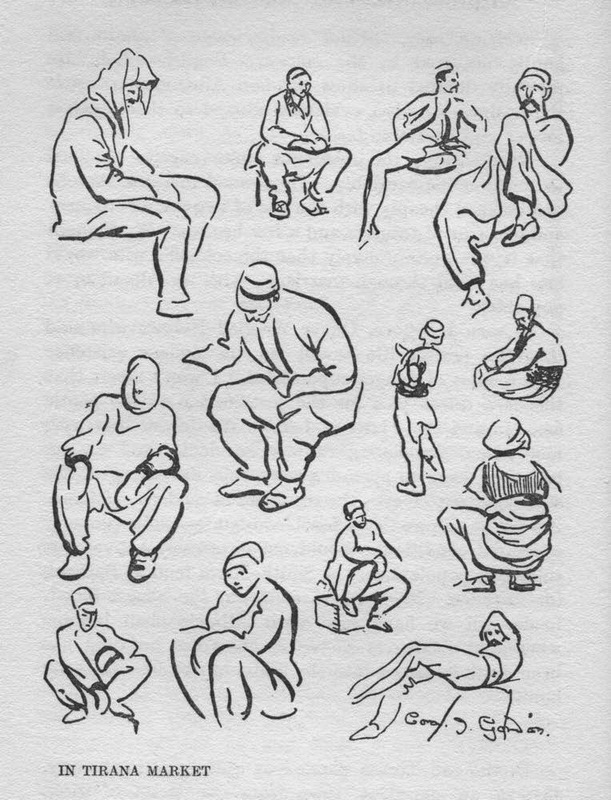 Another of those classic collections of Cora Gordon sketches here made in Gjinokastro. A beautifully composed drawing by Cora Gordon of the Gjinokastro bazar and mosque. The overall impression of this account in the book is of a very satisfying journey, immensely full of visual images to be captured in sketches and paintings and rich in human encounters. I found it far less gloomy than "Two Vagabonds in the Balkans." Should it be Girocastro instead of Ginocastro, Italian spelling? Hi Andrea, I can see this spelling, "Gjinokastro," used in Dutch and Czech publications amongst others 1892-1949, as well as in the Jan and Cora Gordon book of course; perhaps an old form of spelling, now no longer used. 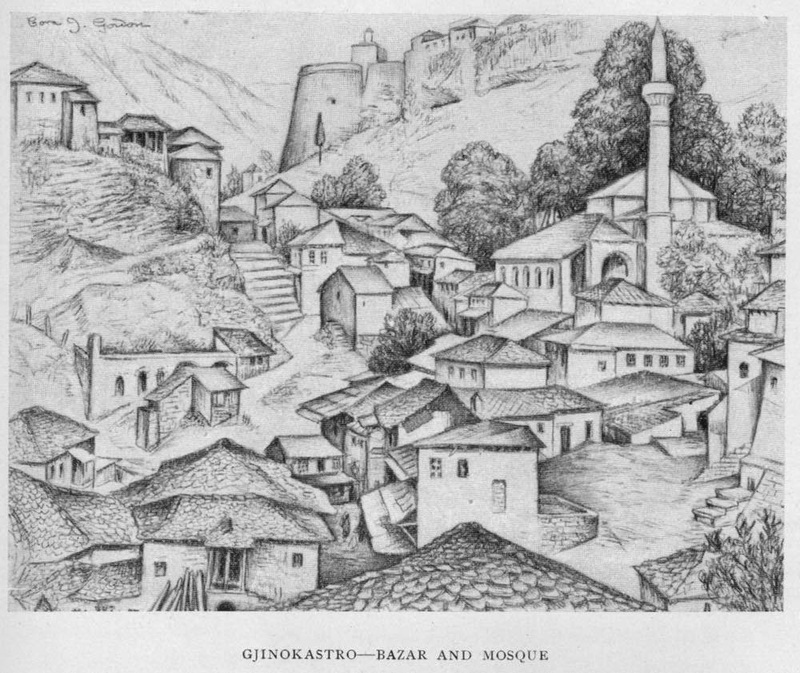 According to Wikipedia, "The definite Albanian form of the name of city is Gjirokastra, while in the Gheg Albanian dialect it is known as Gjinokastër, both of which derive from the Greek name."